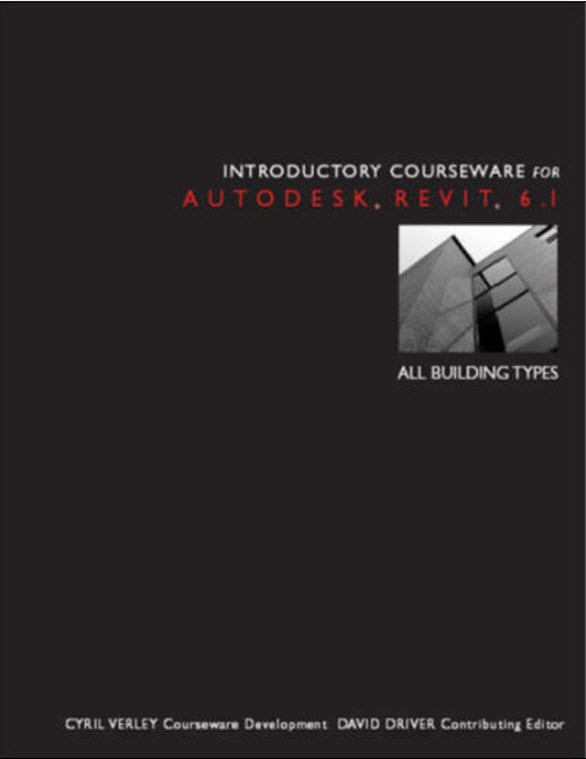 CDV Systems, providers of Autodesk Revit and CodeBook courseware, training, implementation and consulting services, announces that its latest book in its line of courseware publications for Autodesk Revit, "Introductory Courseware for Autodesk Revit 6.1 - All Building Types" is available immediately. The book highlights some of the new and improved features of Autodesk Revit version 6.1 including Import/Export/Link, View Control, Plotting and Dimensioning. CDV Systems Courseware was mentioned several times during a recent Autodesk Webinar, featuring Autodesk Revit Success Story - Donald Powers Architects - Providence, RI. Powers sought out CDV Systems for Training, Courseware, Implementation and Technical Support for Autodesk Revit. Donald Powers explained, "A large part of our Revit success is due to having CDV Systems courseware as a reference for specific tasks. CDV Systems 'process-based training' Revit manuals were set up in exactly the sequence by which we work, and focused carefully on the end result - a set of workable documents by which to design, present and construct a project. It is sitting on my desk bristling with yellow post-its and in the first month I referred to it all the time." Jill Rothenberg, Principal/CIO from ADD, Inc. in Cambridge, MA, describes the courseware by stating, "The organization is structured in such a way that helps the users build their knowledge so that they are able to use the software initially for simple tasks then learn more complex functionality after they have grasped the basics." Cyril Verley, President of CDV Systems, Inc. responds by saying, "We are greatly satisfied to learn from both our national and international clients that the CDV Systems Courseware has played an integral part in their successful implementation of Autodesk Revit. Additionally, we are equally excited that our courseware is presently being adopted by many colleges and universities across the United States as the textbook of choice for their Revit curriculum."